My first month on the body coach plan is now over and my results are in, or rather they're not. After spending 30 days on the plan, I have sent off my results and I got my second plan back. But with it came no evidence of a before and after photo or the change in my measurements or weight. After emailing back to find out where this information was, I was told that I hadn't submitted it in the first place - so unfortunately they were unable to give me this information. I also said (when submitting my results) that from my own track record, I don't believe that the plan has worked for me and that I have put on weight. Something I had been concerned about two weeks into the plan and the reply I received, was "it is impossible to put on weight during this plan". Not very helpful. Since this initial contact with my coach, I decided that I would message the help form on the website and someone from the customer service team contacted me. He was very apologetic about the initial response that I had from my coach and said he would send over my before and after picture. When the email dropped in my inbox though, I only had one photo and I have to say I was horrified by the difference. At this stage, I am pretty unwilling to try month two with such bad results in cycle one. Especially if you aren't supposed to be able to put any weight on. This week I have gone back to my own plan, something that was working for me before the 90 day SSS plan and already feel a lot better. Has anyone else felt like this on the plan? I would say that I have stuck to the plan around 80% of the time and I rarely ever drink, so have only had around 2 gin and tonics since being on the plan. As you can imagine this has knocked my confidence slightly and I am working hard to gain back that loss with my sessions at the gym. So I am back on my diet of fish, lean turkey, sweet potatoes and yummy vegetables in my regular portion sizes. Eating well is a lifestyle change and I believe that while you do need to eat healthy foods and exercise regularly you still have to have a slice of cake once in a while. Hi ~ I wanted to drop you a line to let you know you aren't the only one! I've thought for a long time to write an honest review of my experience of the plan but have never got around to it. It's a cookie-cutter plan that is inflexible and in my opinion doesn't create a healthy relationship with food. My plan was riddled with spelling mistakes, missing information and thus came across really unprofessional. Joe Wicks plays the PR game well, and with an increase in media exposure recently, he's all about his progress but is less interested in that of his clients. There are some great coaches out there. I've found one recently and made more progress with her in 4 weeks than 2 months with Joe. She listens to me and what my body responds to, offers great advice and has my best intentions at heart. So glad I found this review. I was sceptical about the plan but thought I'd sign up and give it a go. I'm unable to eat dairy and egg due to breastfeeding my daughter who's intolerant to both. I was initially told I couldn't do the plan as I'm still breastfeeding and was asked to get in touch when I stop in few weeks. Days later, after a refund, I received the plan! So a mistake was made on the administration side. I toyed with the idea of following the plan loosely anyway but, on closer inspection, egg is in every other recipe, and I've noticed so many errors in the messy content. It's sold as tailored, but it's not, I was just told to drop the egg from all the recipes and ignore the bit about supplements. That's like me sending a proposal to one of my clients and asking them to disregard half the pages. I wouldn't win that client! I completely understand what you mean - especially when it comes to sending proposals to clients. I wouldn't dream of sending someone something that wasn't complete. This is a god sent! I am about to embark on Cycle 3, but already having doubts and don't wanna take the risk of adding any more weight on! I gained 3kgs in cycle 1 when everyone seems to be losing 6-7kgs!! In cycle 2, I gained 2kgs! I recently found out that people with PCOS should be staying away from dairy. Maybe all that cheese in C1 caused me to gain weight?? I don't know!! But it is a huge disappointment cos the plan asks you your medical conditions, BUT, does not take that into account when sending you your personalised plan. Also, I mentioned that I only eat chicken/fish but had beef recipes as well. Small matter.. But just goes to show that the plan is not personalised at all!! The only thing that irks me is that I now have to undo all the damage of the weight gain on this plan!! I have been eating sugar and crap stuff occassionally before the plan, and would not gain weight like this! So why now? Dairy? Too little exercise? Too much food? I don't know!! Just extremely frustrated at having to undo the damage of the weight gain! I can't risk gaining another kg cos I'll be tipping the scales at my heaviest before my entire fitness journey even started. I know the whole body recomposition and stuff, but for someone obese like me, every kg counts!! And you want the numbers dropping, not increasing! Hi MK, I am so sorry to hear that you have had a bad experience. PCOS is a complete b*tch too. It effects so many things, but staying clear of dairy has definitely helped. I have also found that cutting out Beer and other foods that contain yeast and gluten helps, but they are harder to avoid, especially when you have already cut diary from your diet too. The fact that the plan is sold as personalised and then when the plan is sent to you, you get something completely unpersonalised, is my biggest pet hate. If I were to do this in my profession then the ASA would be pulling me up on it. I've just done cycle 1 and I've lost 9.5 inches & 5.5 kgs. I've never cooked before (except beans on toast) but I found 5 or 6 meals that I could make and stuck to them. I weighed everything the 1st time then put the items in different tubs which I knew had the correct amount in. The onions, peppers, mushrooms, spinach & broccoli I used frozen so it was just a case of dipping the tub into the bags and then cook them. There are little tips & hacks on the community facebook page (which to me made everything so much easier) and there is always help on hand if you need it (post a question and you'll get a reply within the hour). I am also so happy that I found this review. Cycle 1 did work for me.. Cycle 2 was an absolute nightmare... after 2 weeks of doing the plan I felt that I had put weight on.. looking in the mirror also reflected this, so I broke the rules and did my measurements. To my horror I'd gained 2 inches across my waist and hips. I emailed my coach, and was told this was normal. I stupidly continued and at the end of the cycle I had gained more inches and numbers on the scales.. By this point I was very suspicious about how 'tailored' the body coach was.. so throughout the first 2 cycles I asked questions around swapping the the 110g of non fat full yogurt to 45g of normal fat yog (I should stress.. the plan did say I could have 45g of full fat sour cream, so to me it was a like for like swap).. I was told No, I then asked about swapping it gram for gram for cheese, again I was told no.. however on the Q&A on the website it does say you can swap cheese in as a dairy option.. I also questioned the fact that we are supposed to reduce the amount of sugar we are eating, however non fat yog is suggested... we all know that low fat goods are high in sugar.. strange. I then asked questions around the discrepancies in my given food weights compared to those given in the set recipes.. I again questioned whether the plan was tailored, as if so the ingredient weights wouldn't be so drastically different.. I was told another lie, the reason for the difference was due to macros that they were not allowed to tell me how to work out. The final nail in the coffin was when I emailed my coach to say that I had an accident and was unable to do any lower body work outs for 4 weeks (nasty stitches! ), however the nurse did say that I could continue to do upper body exercises.. I emailed my coach explaining the above and asked for tailored exercises for me to do (at this point I'm in stage 3) she advised that I stop the plan completely as she wasn't trained to advise off plan, however asked if she could have my results as by her records I should have completed the 3rd cycle (I'd paused the cycle as I had a 2 week holiday).. again when I explained that I was still in fact on plan, and as such she should now be able to advise on exercises.. to put it shortly, she basically ignored that part and said I should come off plan until I am able to exercise properly... In other words, she had no idea.. and couldn't even suggest a seated bicep curl or seated shoulder press.. In short, the plan is not tailored.. it's created for the masses regardless of the 'personalised questionnaire'... I have 2 friends, 1 male 5ft 10 of medium build, 1 female 5ft 7 of lean build who received the exact same plan as I did.. I am 5ft 2 with a good amount of weight to lose.. does not make sense. I am really glad I read this review as I was just about to sign up! I cannot afford to throw away £150, nor gain anymore weight. I am going to stick with Fitter Food - check them out, they talk sense, are super helpful and better still charge a silly small amount a month for access to their website with all their plans etc etc. Hi,thank you so much for posting this. I agree with you 100%. I am just at the end of my first cycle and I have actually put inches on I'm so disappointed and aggravated that I have basically wasted money I could have put towards my wedding and done my own plan with my usual trainer. I wanted to properly learn about nutrition and I don't feel I've gained any information at all. Out of interest have you reached your goal and if so how did you get there? Oh gosh, this could be me! Signed up to lose weight before my wedding, really specifically wanted to avoid any crazy fad diets - and it turns out I've pad £150 for one. Feeling very conned, and a lot fatter than when I started. 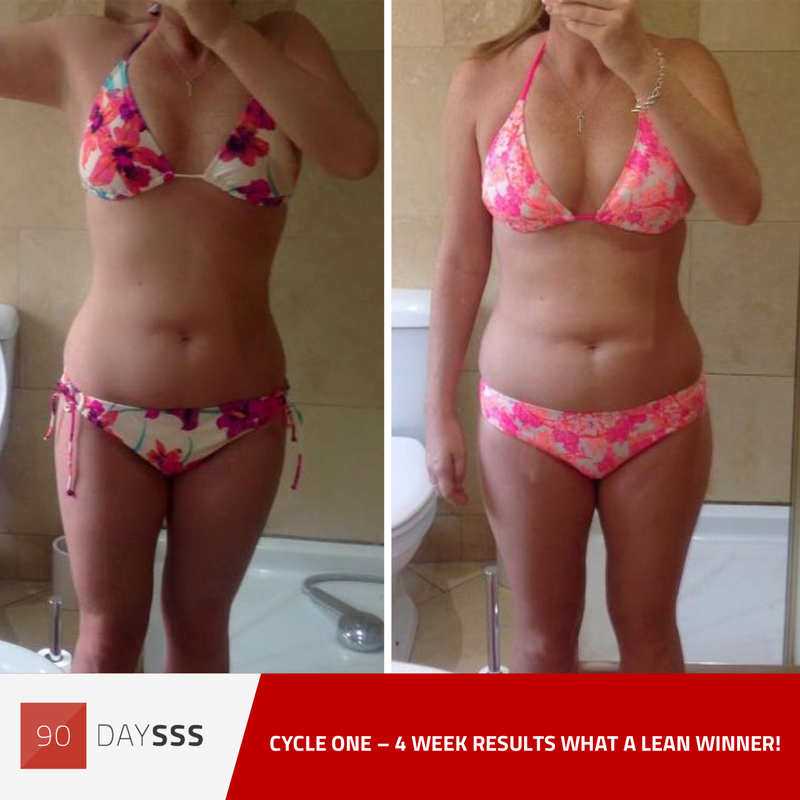 Great post as I have also encountered problems on the plan, I signed up last year, I did lose weight and inches successfully, but had too many cravings during cycle 3. Dropping off the carbs badly affected my sugar cravings, I was given an option to mix jelly and yogurt together to help with these but the carb drop played havoc with me and I gave up in the end. I agree that there were a lot of spelling mistakes and I was forever messaging for support as my plan didnt take into account the foods I didnt like. The food on the plan is very expensive because of the volume you eat, not everyone would eat 2 chicken breasts for dinner, it all adds up and my shopping bill went through the roof. A few months down the line, im only just getting over the havoc this plan played with my body, the low carb does not help with sustainable energy levels and after dropping the plan i gained 2 stone in weight. This plan also doesnt take into account everyones physical ability. If my HIIT level is less intense than someone else at a fitter level, why are we eating the same food? People are ignoring the problems with the plan because of the amazing results they are seeing, but some people have been in the plan longer than 90 days. They also would not allow me to go on maintenance until I finish cycle 3. So I have not idea what to do after 3 months especially as I had a few stone to lose. My friend sent me this review after I'd hit rock bottom today ... I'm on C1:D23. Glad to see I'm not on my own. My first week I lost 6lb and then nothing in the second week and this week have managed to gain 7lb. I'd say I've stuck to the plan 85% accounting for a few meals I had planned out (where I picked protein options) - a paid meal of chicken skewers n salad - not a chip on sight - how depressing! ... but when I put into perspective that I didn't gain this much weight when I went to New York for 4 days and ate what the f I wanted I'm peed off! Nor did I gain this much during my 2 week wedding and minimoon (where I scoffed an ice cream everyday and ate chips!!!) The money for the plan, the money for the ingredients, the hrs wasted prepping like a boss (which I consider my second full time job) and to have no progress. As if I'm not going to weigh myself during the cycle...I wanna see those numbers going down - Christ there's approximately 2stone of fat to come off me which I doubt I've built the equivalent in muscle. I agree with some of the comments above, the plan isn't personalised other than the fact they calculate the weight portions for you which is done by an auto calculator. The questionnaire at the beginning is a waste of time. What relevance I ate the last 7days has anything to do with the plan is rubbish. My email I received with my plan replicated almost word for word what my friend got when she had joined the year before. Same. The coaches only get in touch if you question something otherwise I seeki support from other forums like Instagram. The plan obviously works for some but I think mostly males. I entered this open minded and also skeptical of those who said it didn't work, thinking they were cheating, or generally the 'excuse' type who will always want a quick fix...however 3 weeks n no change I think for me personally it is a waste and although I'll definitely continue to make some of the recipes, I wish I hadn't have bothered with the plan and just carried on from the book. The support hero is not really a help at all - the only suggestion is stick with the plan. I have just finished the first 30 days on the plan and must say I am impressed and would recommend the plan to anyone. I have lost 6lbs, 2 inches off my waist, 1 inch off my thighs and an inch off my hips. I must say that I would struggle to see how anyone would put weight on if the plan was being followed properly. Low carb consumption plus high intensity exercise 5 times a week will most definitely make you lose weight. I think it's all about pushing yourself when you're in the gym and making sure that you limit the cheat foods and as long as you do that then the weight should drop off. I haven't been following his meal portions to a T, I have been stopping eating when I feel full even if it means there is still half a chicken breast left. Personally I love the plan. While I am glad the plan has worked for you, I am sure you can see from the comments above, that there are a lot of people that this hasn't worked for and the above message could be even more disheartening. There are reasons why people haven't been able to lose weight on the program who have wholeheartedly stuck to every element of it and gone above and beyond, none of them their own fault though. This plan isn't for everyone and isn't bespoke either, which is why the entire premise is wrong because people are buying something that doesn't do 'what it says on the tin' so to speak. What people are saying about the lack of tailoring is so true. I received my cycle one pack, joined a social media group and shared our plans - we were all on the same plan despite very obvious differences in our age, size, shape, fitness, goals - totally generic and relying on the fact that most of us are going it alone and not seeing each other's plans. The plan itself was carelessly put together and there was no tailored advice from any coach. Don't sell it as a tailored approach if it really isn't! I found it very restricting and time consuming and at the end of cycle one I couldn't see any real difference apart from tighter jeans so I gave up - it was a relief not to be fiddling around cooking and giving it all that headspace. £150 I wish I hadn't spent. Really interesting to read all the comments. I'm nearly finished C3 but I've pretty much fallen off the plan and getting really disheartened with the total lack of support from my "hero". On the plus side - I lost 10 pounds and about 15 inches in C1, loved it, body coach posted my picture on social media and I was on a total high. C2 went pear shaped in a big way...hated the carb loading, bloated, no energy, no weight loss, exercising took so long with the addition of weights, and I couldn't handle the pick and mix. So I reverted to C1 plan for the second half of the cycle. I lost about 6 pounds and 4 more inches. I submitted results and wrote a pretty critical review of the cycle and I got a massive and unsupportive "telling off" from my support hero for changing the plan. No praise this time...I'm due to finish C3 on Monday but I've not followed the plan at all..I was building so much muscle that my biceps won't fit into t shirts anymore and the exercise was too much weight focus for me. Not sure if I will actually bother to submit end results. I've had zero proactive contact from anyone at the plan for 7 weeks now. The responses I received to questions were clearly cut and paste from some kind of database they have access to, not personal to me. My plan recipes - they'd been charged changed but the ingredient ratios were completely messed up so they went badly wrong which was wasted money. I know he approach is not to worry about weight loss, but I have 3 stone to lose to get back to a reasonable bmi and I didn't find t helpful to be told not to worry about weight loss. Summary - c1 is great for weight loss with the cardio and low carb. I need to do this cycle about 6 times I think to "shift" the bulk of my excess weight. Then I may be ready to start to "shape" and try C2 approach to tone up. It's def given me focus and purpose and some new tools...was it worth £150, no. Is it misleading...yes, it's not personal and the support is non existent. I will cotinue to use some of the approach and flex to what works for me. Good luck everyone with whatever you chose to follow. Really glad I found this as I thought I was some sort of hideous aberration! I've just finished Cycle 1 and, though I've not gained weight, I've also not lost a single pound and all my measurements are the same as when I started. I'd echo the worries about it not being tailored. I spent a long time filling in the initial form about medical issues to let them know that I'd had gastric surgery and the result of that is that I cannot eat starchy carbs (bread, pasta, rice, potatos) or sugars - if I do I get almost immediate onset vomiting, palpitations and the runs! So having done all that I was a bit surprised to receive a plan that took no account of what I'd said - all the carb refuel meals featured bread, pasta, rice or potatoes and a lot of the dairy options were low fat (which = higher sugar). I emailed my coach to point this out and was told that there was no record of me having filled in that medical information (so clearly the webform doesn't work too well because it was certainly submitted by me). I also mentioned about the portion sizes and the fact that, again due to surgery, I physically *cannot* eat that much in a sitting. I have found that I can manage half a portion of what the recipes say is for 1 person. I was pretty surprised when, instead of offering alternative recipes or methods, the coach came back saying that he didn't think I'd be able to do the plan as eating *everything* was essential and that I should see a GP. My GP has essentially said 'hogwash' and that different people have different calorific needs and that I absolutely shouldn't force down portions that are too big for me, or ingredients that are going to cause me digestive issues. He did say the exercise would be good to continue. So I'm about to enter Cycle 2. I think I've resigned myself to not seeing the results that are strewn across social media as I'm officially 'off plan' due to not being able to hack either the portion sizes or the starchy carbs - but I guess if, at the end, I'm a bit fitter and have gained a bit of strength that'll be a bonus. I guess my message is that all those amazing transformations on social media are not guaranteed. I strongly suspect that, perhaps, they mostly come from people who do no exercise at all before starting and perhaps have a pretty bad diet. If you go from no exercise/terrible diet to a health plan you'll often see dramatic results in the short term.